Is often classified by means of different categories. The same definitions are not always used, but the following are the most common. On average, the most quite sounds that people can hear with their better ear are between 25 and 40 decibels. People who suffer from mild hearing loss have some difficulties keeping up with conversations, especially in noisy surroundings. On average the most quite sounds heard by people with their better ear are from 95 decibels or more. People who suffer a from profound loss are very hard of hearing and rely mostly on lip reading, and/or sign language. One of the major causes of harder hearing is ageing. We all lose our hearing sooner or later. Hearing loss is a natural consequence of getting older.When we age we need help in our daily lives. Our hearing ability worsens from our 30s or 40s and onwards and when we reach our 80s, more than half of us suffer from significant hearing loss. Despite that, more than half of all hearing-impaired people are of working age. Another common reason for hearing loss is exposure to noise. We live in a noisy world. Noise may come from our work or from voluntary exposure to noise, such as noisy motors or loud music at rock concerts, night clubs, and discos and from stereos - with or without the use of headphones. Also the increasing use of portable MP3 players is causing hearing damages. The players are capable of delivering high sound levels and the user risks exposing their ears to highly excessive dB levels. Hearing loss may also occur as a result of disease, infections or drugs. 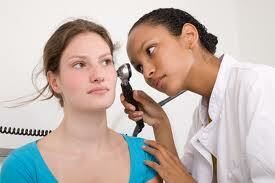 It may be inherited or be a result of physical damage to the ears or serious injuries to the head. Imagine a constant ringing, buzzing or whistling in your ears, 24 hours a day. It is called tinnitus. You never get a break. It is always there. Nobody else but you can hear the noise because it does not come from any external source. Although you are the only person who can hear the noise it is not a result of your imagination. becomes a problem when this noise persists and/or increases. Normally, the ringing in the ears will disappear, but it may also become permanent, leading to hearing loss. The majority of people who suffer from tinnitus find it very disturbing and uncomfortable. tinnitus symptons Tinnitus is common in people over the age of 40, but is becoming increasingly prevalent in younger people, as well, because of increased daily noise levels, including those caused by the unrestrained use of MP3s, iPods and other personal stereos. Although tinnitus is more common among people who suffer from hearing loss, anyone can suffer from tinnitus. 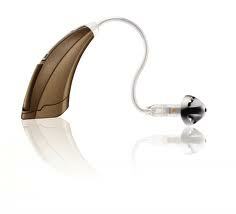 It is also possible to suffer from major hearing loss without contracting tinnitus at all.